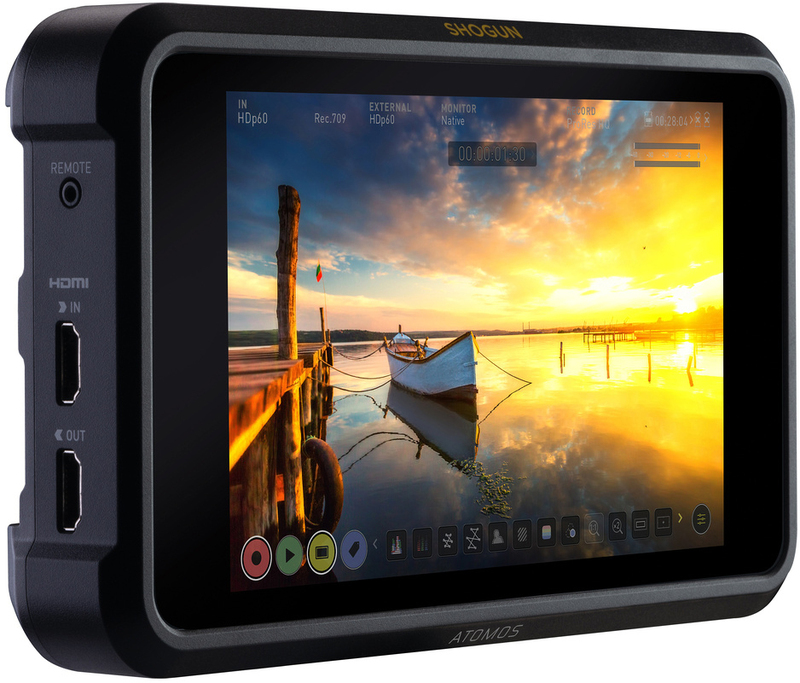 Get ready for the new generation of on-camera field monitors, with release of the Atomos Shogun 7 HDR recording and switching monitor. The 7" Shogun 7 monitor now features a 1080p native resolution, can switch between four live HD-SDI input streams with editing on the fly, and it can also play Dolby Vision HDR quality video over its HDMI or SDI outputs. The Shogun 7 retains the same solid features of the Shogun Inferno with a large 7.2" screen, 1500 cd/m2 brightness, Rec. 709 monitoring, an 8-bit + FRC screen with Dynamic AtomHDR technology and native Log support, a dual, hot-swappable L-series battery mount, support for ProRes RAW recording, and up to DCI 4K input and output. It also captures to 2.5" SSD/HDD drives within a Master Caddy II and provides metadata tagging, time lapse, and pre-roll record functions. A welcome addition to the Shogun 7 is its support for simultaneously monitoring, recording, and switching between programs and up to four HD-SDI camera streams, which is enhanced by the ability to connect to your existing genlock and switching equipment. Multi-cam recordings can be saved with an Atomos xml metadata file, which can then be imported into a popular NLE with all your live switching edits in place. The smart HDR playback option analyzes video input and color information and outputs the image with the appropriate color profiles to match the maximum quality of the TV, including Dolby Vision capable displays. DCI 4K video can be captured in either ProRes, CinemaDNG or DNxHR at up to 100 fps using the updated Shogun 7. You can record up to 4K60 in Prores RAW format or in 2K up to 240 fps slow motion, and it supports tagging on the fly, which creates xml files for importing into popular NLE systems such as Final Cut Pro X, Adobe Premiere, and Avid Media Composer to make your post workflow even smoother. 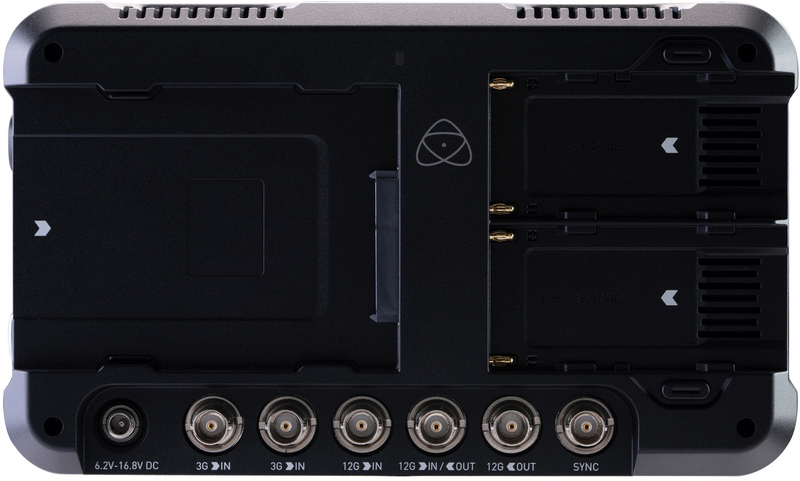 The I/O connections support quad-link 3G-SDI and they include one HDMI 2.0 type A input, two 3G-SDI BNC inputs, one single-link 12G-SDI BNC input, one 12G-SDI BNC input/output, one additional 12G-SDI BNC output, and one HDMI 2.0 type A output. You can cross-convert up to 4K video between any HDMI 2.0 and HD/3G/6G/12G/Quad-Link SDI and record up to 12 channels of digital audio. 24-bit audio output is supported over SDI and HDMI, and two 3-pin XLR inputs with 48V phantom power can be used through a breakout cable. The Shogun 7 comes with one Master Caddy II, a 12V power supply, and a hard case to protect your gear during transport and storage. This professional-grade, on-camera monitor packs in dozens of features and compatibility with the latest high-resolution video technology, supporting a wide range of live and post production workflows. 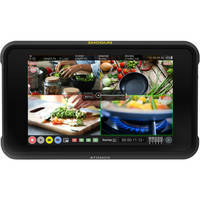 Check out the monitor on the B&H Photo Website or visit the B&H Photo SuperStore to compare Atomos models. Have you used one of Atomos's on-camera professional monitors with Atomos's AtomHDR technology in your production process? Share your thoughts below.